A good luck charm that you can eat! 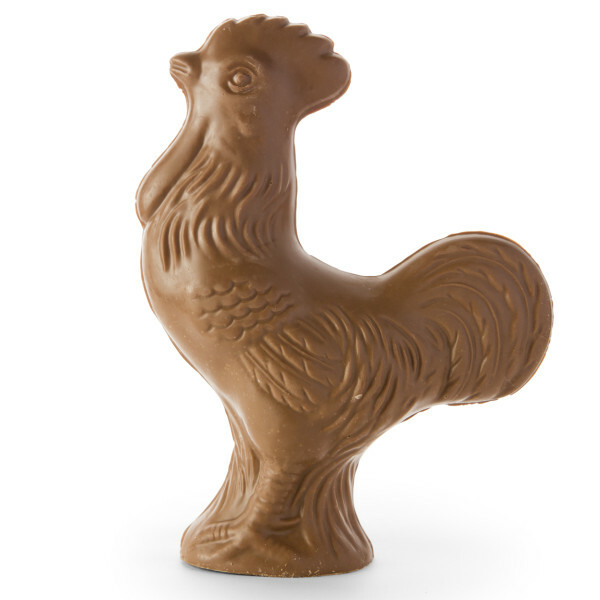 Crediting the popular European tradition, it is often customary to keep a rooster novelty in one's kitchen, as the rooster is thought to be a symbol of good luck, health, and prosperity. 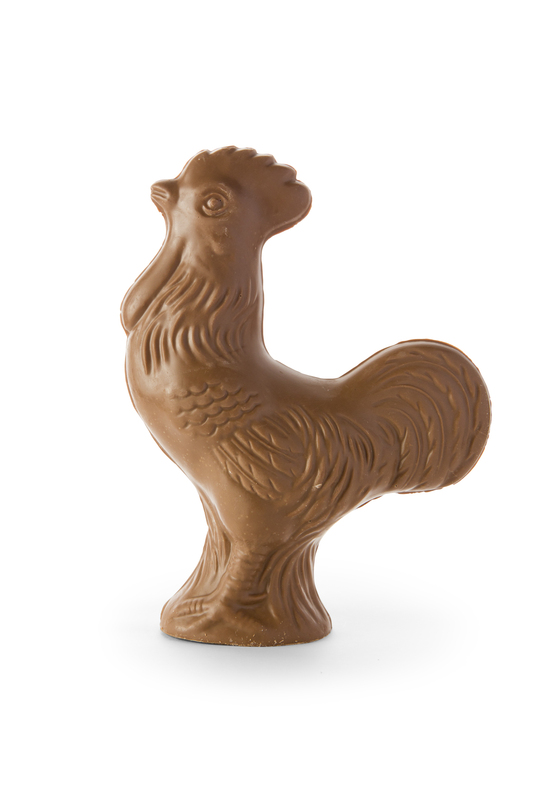 Our "Good Luck Rooster" is hand crafted using Rizzo's Malabar Inn's decadent milk chocolate. Also available in ivory or dark chocolate - please call for special ordering. Weight: 2.675 Lbs. (42.8 oz). Includes shipping.